Item Number: 600-9605-24 15243 Actual Weight: 0.2 lb. 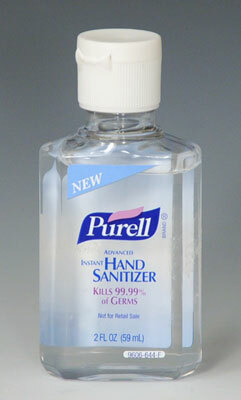 Antiseptic gel kills 99.99% of most common germs. Proper use reduces rate of healthcare-acquired infections by 30.4%. Needs no rinsing and won’t dry hands. Great when soap and water are not accessible. Complies with OSHA’s Bloodborne Pathogens standard. Two ounce size perfect for child care centers, schools, and health care providers.